It was the week after completing Ironman Wales that I received an email from my Mum saying "Scott Neyedli, winner of Ironman Wales is a full time engineer in Aberdeen." She was at the finish line when he flew across it in 9hr 9min 10secs, almost 4 hours before I finished my race. She knew the fact that he was an elite Ironman Champion and working full time would not only make his performance more impressive, but would also inspire me. Before I received the email, I had automatically assumed that anyone capable of beating an International field of experienced triathletes, would be focusing full time just on training. I was wrong. I'm fascinated and greatly inspired by ordinary people doing extraordinary things. People who get up everyday and divide their focus between maintaining a career and world-class sporting achievements. Why? These are the people I can relate to, learn from and be inspired by. It's when reading their stories that I think "If they can do it, maybe I can too". Talking to someone like Scott leaves no room for excuses, just an example of what can be achieved if we live, breathe and act on our dreams. This week I had the pleasure of interviewing Scott Neyedli, to find out more about what drives him and how he manages to balance his training, work and life commitments to achieve such outstanding results. Of the top 10 fastest athletes over the 2013 IM Wales course, Scott and Lucy Gossage (fastest female PRO) are the only athletes who are not full time athletes. To me, both their achievements are incredible. Scott, an amateur swimmer at school, did his first triathlon 10 years ago - The City of Aberdeen triathlon. He didn't complete the course due to a mechanical issue on the bike, but he was instantly struck by how friendly his fellow triathletes were and was hungry for more. As a teenager, he'd listed on his Bucket List finishing a marathon and an Ironman amongst his top ambitions. Now he's won two Ironman races, he says it seems a little surreal! - Meet cycle team for 2 hr intense bike session, "at 35-40kms an hour, but it’s quite windy up here" Scott explained. Followed by 40 min-1 ½ hr run off the bike OR 1 ½ hr swim squad session. Either way, he'll be finished by 10pm then heads home for dinner and bed. I don't know about you, but reading that makes me take a deep breath and think "wow". That's a LOT of training. Don't forget, he's working a 40 hour week on top. 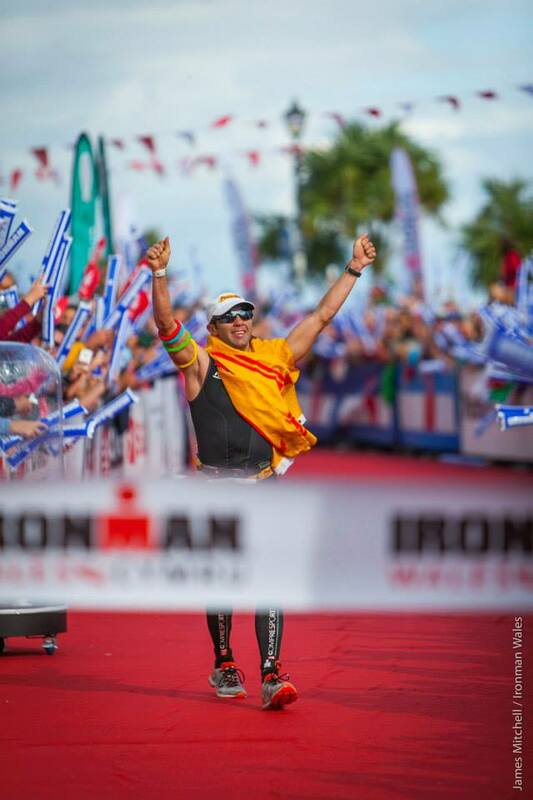 It provides a clear example of the commitment required to be an elite Ironman Champion. 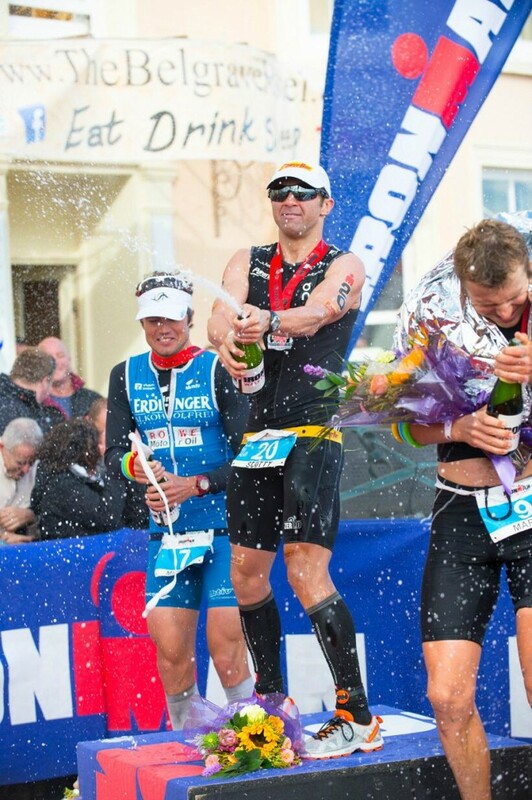 Scott doesn't consider himself a naturally gifted triathlete, he's worked very hard to achieve what he has. As we talked about his triathlon experience and training, I found out he's very good at working out how to make the most of his time and assets to get the maximum results from his training. For example, he's not keen on the winter in Aberdeen with it's cold weather and the days being so short, so he loads most of his training into the summer months. He's not a morning person so focuses on evening sessions. His biggest sacrifice is "quality of sleep", he explained that between 2007 and 2011 he was a full time sponsored triathlete which improved his sleeping options! "I used to nap during the day as a pro, I don’t get enough sleep now". When I asked about social life, he told me how last summer he fit his training around weddings and stag do's. He's always coached himself with others like Joe Beer giving valuable input when needed, so setting and managing his own schedule is something he loves to do, making it easier to juggle sessions around when required. However, it was clear to me, he's happy to leave the days of partying behind "I did that at university when I was a student, but I still go out every now & again if it fits with my training". Now that he has something much bigger to focus on, something he's worked incredibly hard for - when it comes to prioritising training over socialising, there's no question. Next up, I wanted to know what it was about Ironman and triathlon that keeps drawing him in. Me: What do you love about Ironman? Scott: "Despite living in Aberdeen all my life, it was through cycling that I explored and discovered roads I didn’t know existed. I'm also very happy to physically be able to do the things I do. My Grandad has Parkinsons Disease, I know I might not be able to do these things forever so I make the most of what I've got"
Scott: "I'm motivated by the competition and putting a plan together of what I want to achieve. I like the whole process of setting goals, putting a program together and the challenge of achieving it all. I may be a little OCD... It comes with being an engineer"
Me: What do your friends and family think of your training and racing? Now we have Mums, Grans and Aunties covered, it's time to get back to racing..
Me: What's your favourite race? Scott: [long pause] "IM Wales because of the awesome crowds! I was a bit more emotionally charged in Wales than in any other race. It felt surreal that I was leading the bike and then ran the marathon very well. Even though I questioned my game plan quite often, I stuck to it and it worked." Me: What's going through your head when racing an Ironman? Scott: "I'm managing the highs and lows. Physically you think you’re at breaking point but mentally you play mind games, you present an aura that makes others think no-one is going to catch you. My tactics are to be in the lead pack out of the swim, to stay in the lead pack on the bike and then run my pants off in the marathon". Interviewing Scott was a pleasure. He's not the kind of guy to shout his achievements from the rooftop. He's modest, down to earth and in every way an ordinary person doing extraordinary things. He's the guy who makes the effort to train when the weather is bad or when he's tired and his body aches. 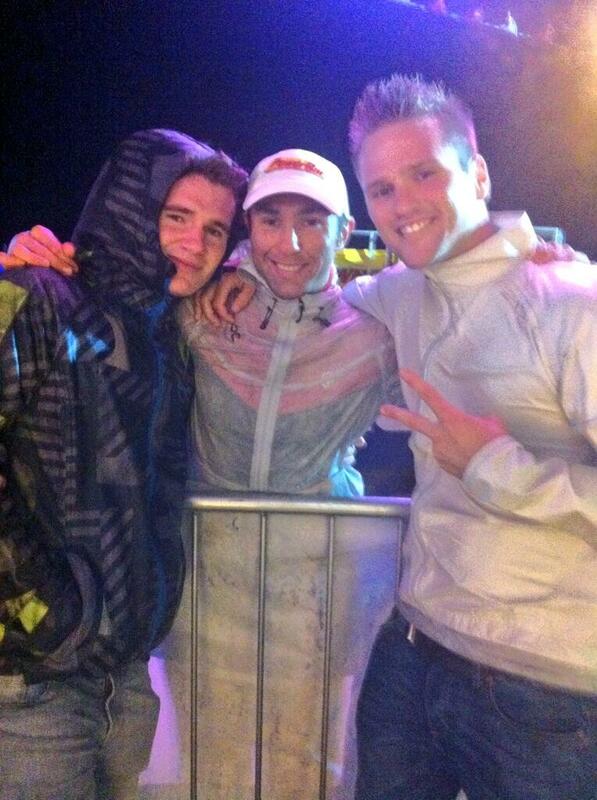 He's the guy who handed out medals at the finish line of Ironman Wales until midnight when it was blowing a gale. He's the guy who trains that bit harder than his competitors and has the potential to take the world by storm. He still gets butterflies the day before the race and still thinks Ironman is madness "even though I'm motivated to do well, until the cannon goes off I'm thinking 'what am I doing', but the moment the race starts it feels natural"
His message to me is clear and simple - if you want it and you're prepared to work for it, it's there for you. Go and make it happen. His BIG DREAM is to get a top 10 finish at the Ironman World Championship in Hawaii, with a podium finish being the ultimate dream. Finally, I couldn't let the opportunity slip to ask him what tips he had for me, Scott: "I guess Vitamin D during the winter as its lacking sunshine over these months coming from the UK. Join a swim squad, train around other people as much as you can and don't forget about the 4th and 5th disciplines of training - sleep and good nutrition are just as important as swim, bike and run". Thank you Scott! You've been a huge inspiration to me and I look forward to seeing you at the races in 2014.